Lasagna is a wonderful winter meal. It’s hardy, it’s versatile, and most importantly it heats up brilliantly. What more could you ask for on a cold February night? 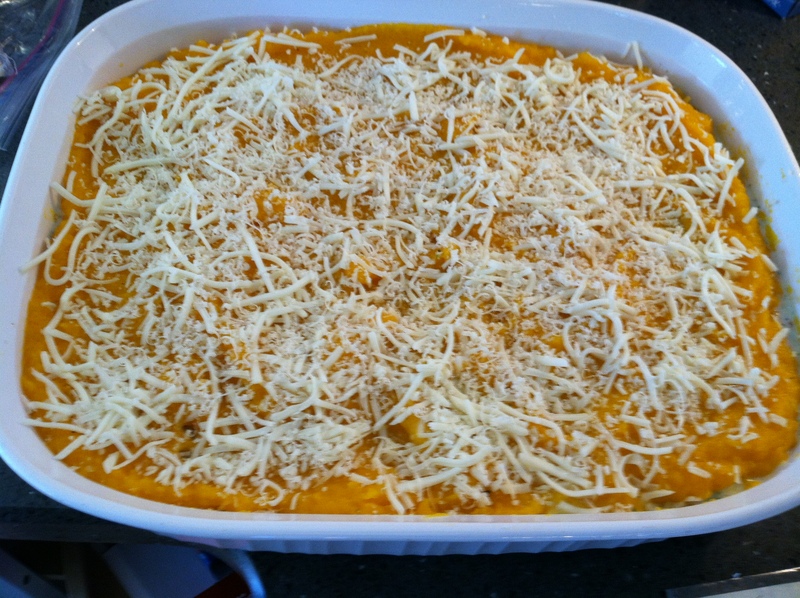 I’m a huge fan of all things squash so when I found this recipe for butternut squash lasagna I could not resist. You start by peeling and cubing the squash and then simmering it in water until it is soft enough to puree. Then season with salt and pepper. Then you make a bechamel sauce which I found kind of intimidating at first, though I can assure you it is quite easy. You just heat up butter and flour and then whisk in milk until it boils. 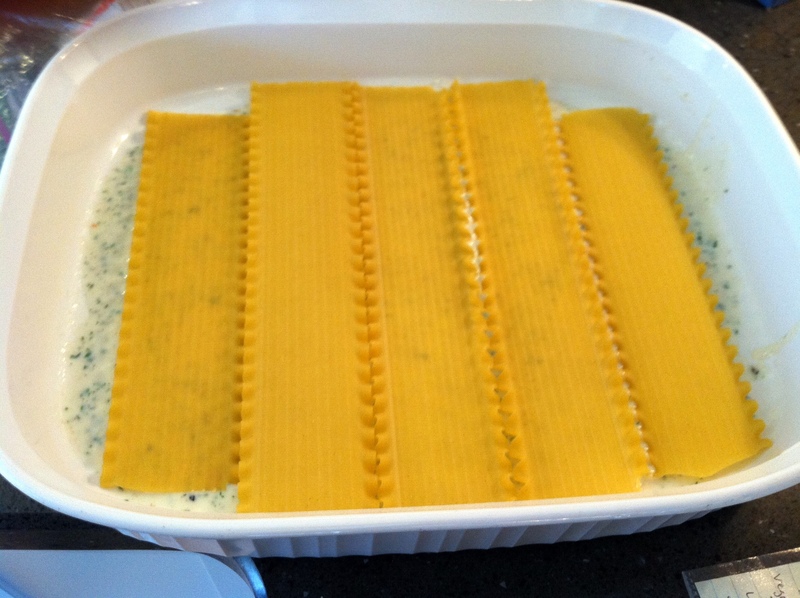 For this recipe you also grate in some nutmeg and finally blend with fresh basil. In large skilled heat olive oil over medium-high heat. Add squash and toss to coat. Add ½ cup water. Reduce heat and simmer, covered, for 20 minutes or until tender. Cool slightly. 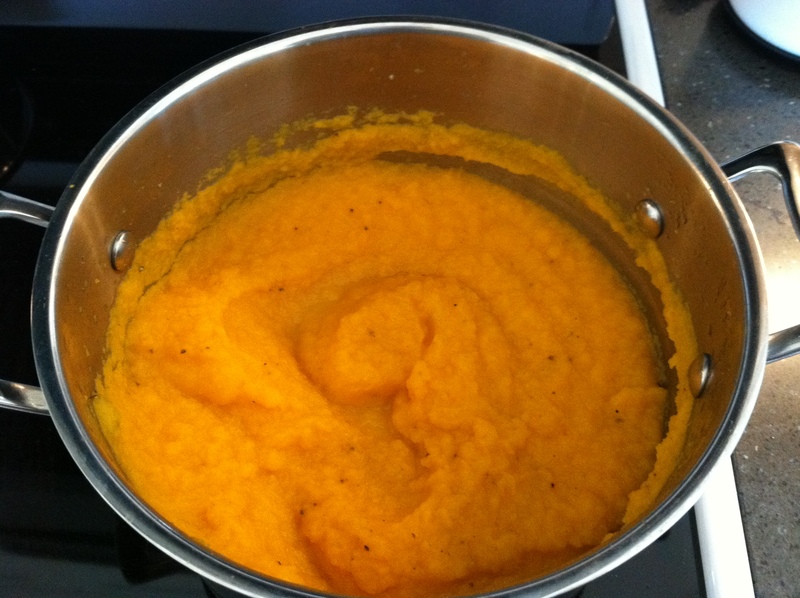 Puree squash in food processor. Season with salt and pepper. In medium saucepan melt butter over medium heat. Add flour, whisking for 1 minute. Increase heat to high and gradually whisk in milk. Bring to boil. Reduce heat and simmer for 5 minutes, or until slightly thickened. Whisk in nutmeg and cinnamon. Let cool slightly. Pour half the white sauce into a blender add the basil and blend until smooth. 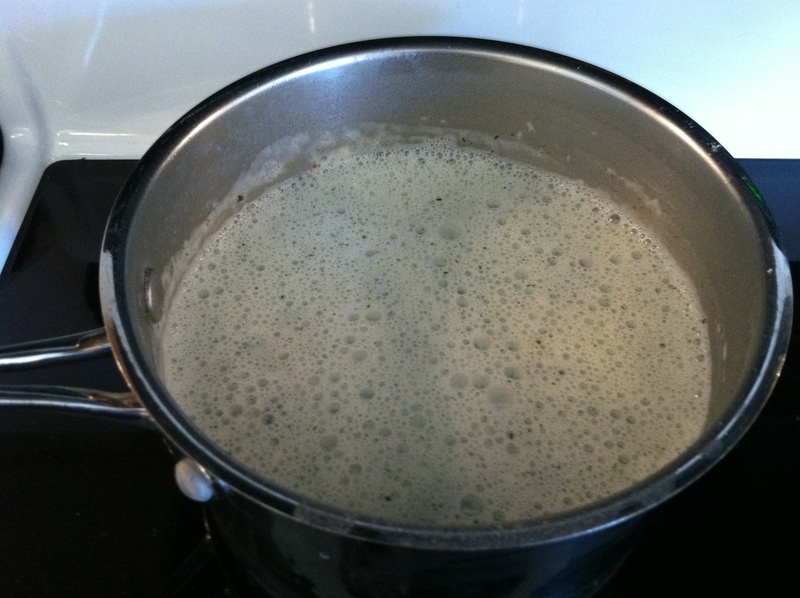 Return basil sauce to saucepan and combine with rest of white sauce. Season with salt and pepper. 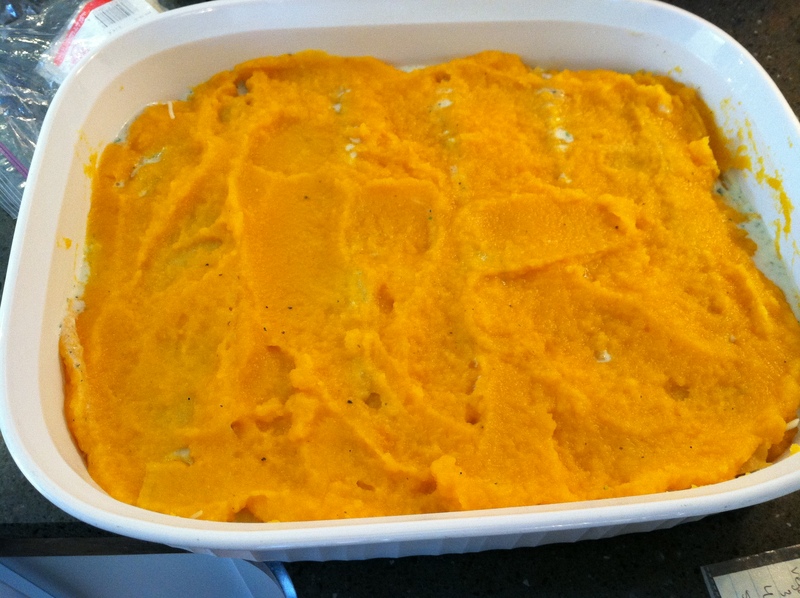 Hi Kirsten – love, love this dish! – will be making this real soon (the nutmeg ingredient is the secret to this tasty meal!) – thanks for sharing.